Dae Ji Pork Cutlet House has a few locations around Vancouver and like their name suggests, they specialize in pork cutlets. I recently found out that they opened a location right across from Coquitlam Centre. 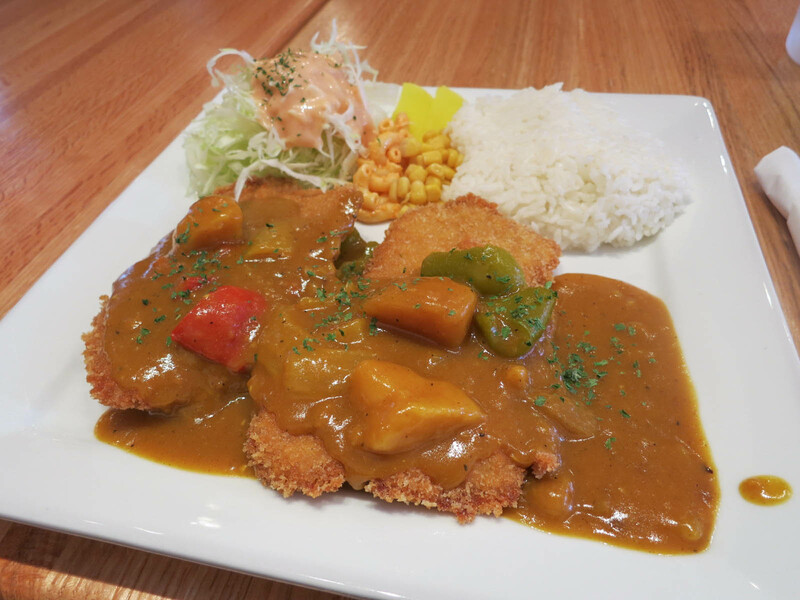 I have always wanted to try their cutlets, so I visited the Coquitlam location for lunch. I had the curry pork cutlet ($9.50), which was served with a side of rice, macaroni salad, and a cabbage salad. When they set down my plate I was surprised by the massive amount of food. I was expecting one piece, but apparently that is the mini version. The pork cutlets were large and pounded nice and thin. They were cooked perfectly and had a slight tinge of pink on the inside, which made them tender and delicious. The curry sauce was also great and flavourful. It was a Japanese style curry sauce, so it had a fragrant flavour of spices in it. The rice and cabbage were fine, but just standard fillers. I actually loved the macaroni salad though, and I normally don’t enjoy cold pasta salad dishes. The salad was tossed in a slightly sweet chili mayo type sauce. I loved Dae Ji and I can safely say this was the best pork cutlet dish I have had. I loved how it was simple, comforting, affordable, and super filling. I will definitely be back for more. Yes, for the best pork cutlet around.